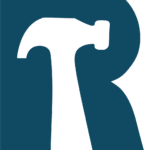 RankHammer was founded by a pair of long time digital marketing professionals who met working in one of the most challenging verticals for SEO. Steve came from a background of engineering and big brand marketing, while Nathan had experience in programming and big advertising agencies. The unique combination of the leadership team has allowed them to bring strategic solutions to businesses of all sizes as well as implement them. We specialize in challenging problems with a technical component, particularly where advanced analytics or automation are part of the project. Our work has been recognized by the US search awards as Small Agency of the Year. Steve frequently speaks at search conferences around the country on advanced subjects, and teaches an SMU course on mastering paid search. Regardless, our most important success metrics are those that we can demonstrate for our clients. We take a flexible and analytic approach to every client. We believe that each situation is unique and customize our strategy and tactics appropriately. We have experience across the digital marketing spectrum, from Adwords to paid social, SEO to site implementation. Financial services: Achieved multiple first page listings for a highly competitive non-brand high volume term. Resulted over $1M incremental revenue per month for the client. Results were not short term and continued to grow. Automotive: Transitioned client from software as a service with limited SEO options to fully custom content management system with full analytics measurement and lead valuation. Results were over 100% better than prior site. Local SEO: Managed in excess of 1000 client locations, including citation generation and review monitoring. Over 85% of locations generated more than 500 calls or requests for directions per month. AdWords Scripts: Developed custom scripts for clients that include inventory checks, weather bid modification and keyword analysis for content creation. Clients have been in e-commerce, lead generation, and content. Hiring RankHammer was truly the best use of our marketing budget thus far. He was quick and responsive, asked questions to understand not only our analytics but to optimize for our overall business goals, and helped bring immense clarity to our data. He streamlined our marketing efforts, and aligned our marketing budget with the metrics that matter the most to our business. I've worked with many consultants, and Steve is amongst the best. When we started working with RankHammer we struggled to fill our day with patients. After just a few weeks, we started booking up, eventually having to plan a month or so out. We've hired more doctors and are very impressed with our growth. Preferred providers are the marketing agencies and consultants who have been through our deepest vetting including a deep interview about work processes, specialties, and how they sell work. They are our most trusted providers and who we refer you to most often, assuming they are the right fit for your needs.